If your New Year's resolution is to lose weight, get in shape, or just to try something new, then The StrikeFit Challenge is for you! 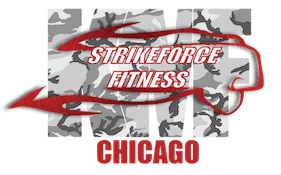 StrikeForce Fitness in Chicago is looking for men and women of all ages and fitness levels to participate in an 8 week fitness challenge that is guaranteed to help you get in shape, transform your body, and change your life. Our program will not only give you great physical results, but it will also help you increase your strength, improve your endurance and stamina, build muscle tone, and improve your eating habits and nutrition. You will also be provided with personal coaching from a highly trained instructor, to guide you through the process and give you that extra push we all sometimes need. At StrikeForce Fitness in Chicago, your goals are our goals and we want to see you succeed! We guarantee you'll love the final result! And if you are ready to join the challenge now, you can take advantage of our Holiday Promotion and receive $50 off of the regular challenge price.